There are multiple risks in the life of humans, and one of them is fire. Others include the natural disaster that one cannot control. We need to deal with these risks at homes, offices and public places. One cannot control the earthquakes and cyclones, but it is possible to prevent the fires. No place is entirely safe from fires and disasters. However, if people take care of some simple things, they can make their homes and workplaces fire safe. This post shares some simple and useful tips to make a workplace safe from fires. The first step to fire safety is awareness among the employees. Educate your staff to educate them about the basic things that cause fires at the workplace. Knowing the necessary fire safety tips and taking care of simple things can prevent fire at any place not only in offices. Fire safety training is essential for every organisation. You must conduct the fire safety training for your employees so that they know how to respond in case of a fire instead of creating panic. If you have a business in Melbourne, you must conduct a fire safety officer training Melbourne to train your employees. Training helps them to learn the basic techniques to use firefighting equipment, evacuation routes and how to respond in case of fires. The waste materials, especially papers, catch fire quickly. 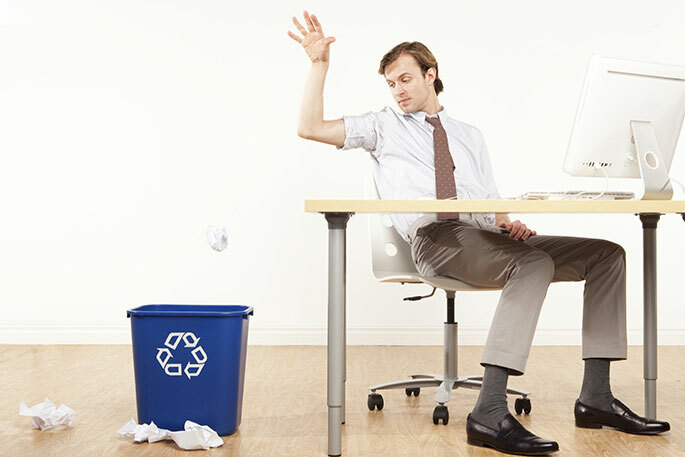 Therefore, the employees need to dispose of the waste paper correctly in the dustbins and avoid the wastage of paper as much as possible. The other materials also need proper disposal to prevent them from fires. The dustbins should never be full and should be cleaned regularly at least twice a day. 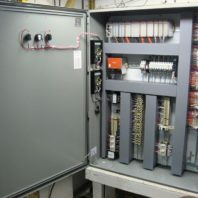 The electric panels and circuits should be appropriately maintained to avoid any loose connections or worn cables. Moreover, you must avoid any obstacles in front of electrical panels as the safety team needs to turn them off as soon as a fire breaks out. Proper maintenance of electrical circuits and boards can prevent the fires due to short circuits and electrical failures. Employees must avoid overloading or electric circuits and switchboards as it can cause a fire due to overheating. Moreover, people should not use the extension cords to connect multiple appliances to a single electrical socket. Connecting multiple devices to an extension cord also leads to overloading of circuits. Any chemicals should be appropriately stored in a restricted area, and the flammable materials need to be handled with care. Any sources of fire such as matchbox or cigarette should not be allowed in the area of chemicals and flammables. No other person except the authorised professionals should access the chemicals and flammable materials. While most of the large organisations have fire alarms in their offices, many startups and small companies lack these systems. A fire alarm is a device that informs the presence of smoke and gives a loud beep as a warning signal. If there are no fire alarms in your company, you must install them as soon as possible. Fire alarms inform about a fire, and the safety team can prevent it from spreading. Fire extinguishers are essential for every workplace as they are the most effective to put off a fire within seconds. There are a variety of extinguishers available, and you can choose the foam extinguishers that are useful for almost all kinds of fires. Moreover, you must know the types of fire extinguishers as there are different extinguishers for different types of fires. Do not use water to put off a fire due to short circuits and electrical malfunctions. Turn off the main switches before using a fire extinguisher for electrical fires at any place. In every large organisation, there are special evacuation routes to escape in case of emergencies. However, it is not easy to use them in case of fires as the fire may block the routes. The fire safety officer training Melbourne trains employees to use the fire escape routes in emergencies. The regular lights usually turn off in fires as you need to turn off the main switches. However, you need light to use the escape routes and evacuate the building. Emergency lights have their battery and can run in case of fires and power failure. Installing the emergency lighting in the escape routes and corridors can help the employees to evacuate the building quickly. These fire safety tips can make a workplace fire safe. However, in addition to these tips, you must call the professional fire safety team as soon as you detect a fire in an office. The professional fire safety services can help to save life and property as much as possible.